The City of Columbus has provided additional details about the parking study being conducted in the Short North area, which includes Harrison West. Learn more about the study with ways residents can provide feedback and become more involved. Beyond parking itself, the plan will also recommend a potential set of multimodal strategies that will continue to reduce strain on the District’s parking system- including streetscape improvements, transportation demand management measures, and wayfinding. 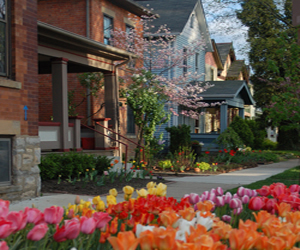 Columbus’s Short North District continues to blossom as a vibrant and regional hub in the Heartland. The district prides itself as a unique urban neighborhood with a rich history, established residential communities, local arts, culture and style that continues to attract local residents, employers and regular visitors. Success in the Short North has bred challenges to continued growth and has prompted a closer look at the District’s transportation and parking needs. With growing commercial uses on High Street, new large scale projects on the neighborhood’s outer edges, and the continued drumbeat of rehab and infill projects in traditional areas, the Short North is reaching the point where continued growth is meeting established neighborhood patterns. To continue its success to remain a desirable place to shop, eat work, and live, the Short North is addressing the often most contentious issue-parking- at an opportune time. In December of 2013, Nelson\Nygaard, MKSK Studios, EMH&T, and Carl Walker were brought on by the City of Columbus to develop a comprehensive approach to parking management, supply and provision in the neighborhood. Working with an interdisciplinary team of subconsultants, this effort will address the unique demand generated by this regional destination and seek to balance the growing demands of the Short North’s diverse constituency to enhance the district’s livability and cultural community. A robust community engagement process is currently underway. The team is working alongside the Short North Parking Working Group, composed of key stakeholders (residents, merchants, property owners, civic and arts organization) and building off their tremendous amount of hard work to date. The team will lead charrette-style workshops where participants will understand and be able to discuss the study area and findings as well as submit input and comments on parking issues in the District. Conversations with key stakeholders to understand the perception of parking for various user groups are integral to the plan. The City of Columbus wants to hear from you. 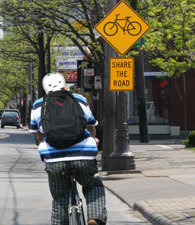 Public Survey We would like to hear about your experience with parking in the Short North District. Take the Survey!